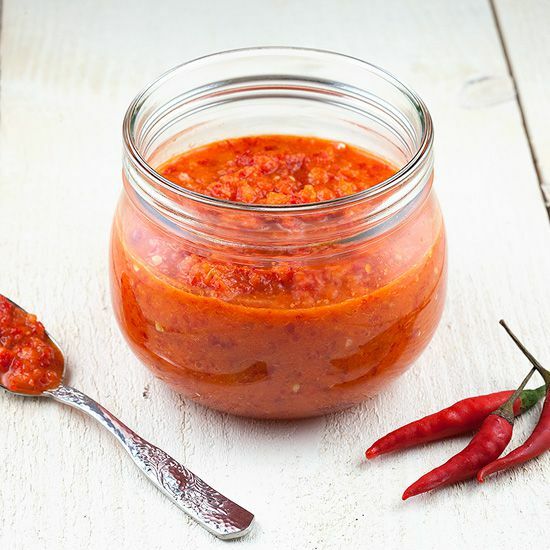 This Caribbean Scotch bonnet chillies sambal is VERY spicy and perfect for roti, chicken and wok dishes. Ready in 15 minutes. START by sterilizing the preserving jar. FILL the small pan with water and bring to a boil. USE the kitchen tongs to lower the preserving jar into the small pan with boiling water. TURN the preserving jar around, until the whole jar has been cleaned and sterilized. PUT on the powder-free latex gloves, you can skip this part but we highly recommend it. 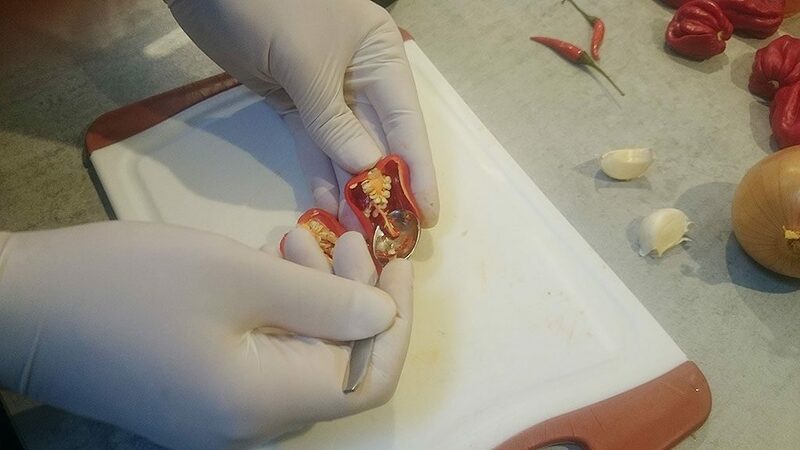 REMOVE the stems and seeds from the scotch bonnet chillies and cut them in half. REPEAT this step for the two small red peppers. CLEAN the ripe tomato and slice it into pieces; no need to be precise. PEEL the cloves of garlic and set aside. PUT the sliced scotch bonnet chillies into the blender along with the red peppers, chopped onion and tomato. PUT the lid on the blender and pulse a few times. ADD the apple vinegar, sugar, salt and sunflower oil. 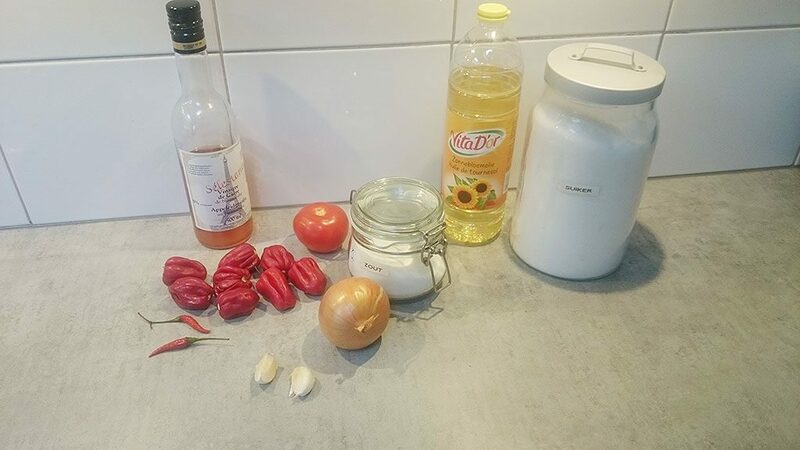 BLEND for 15 seconds, or until the sambal is smooth but not too chunky. 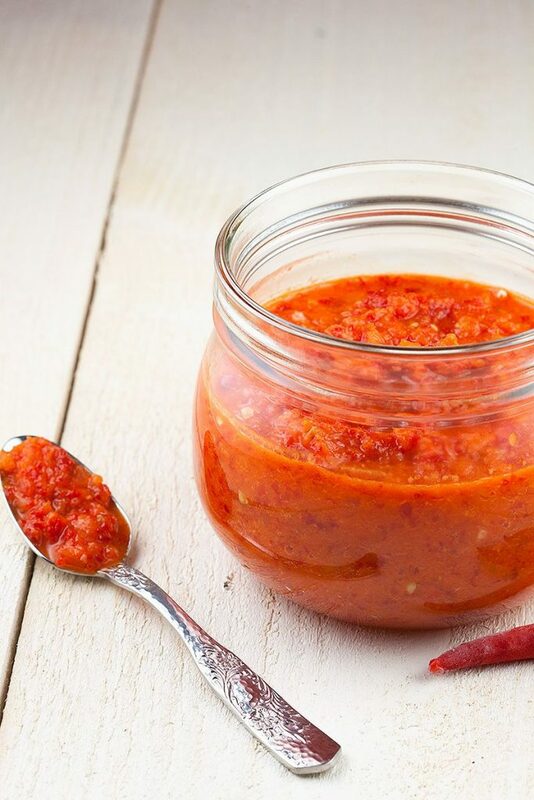 Don’t blend the sambal too much, otherwise you’ll end up with a mush. 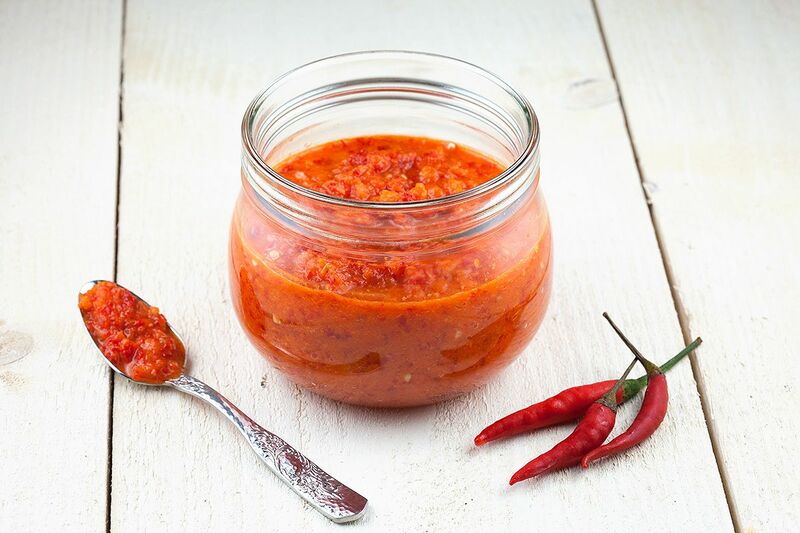 STORE the sambal in the sterilized preserving jar in your refrigerator for up to 2 weeks after opening. Thanks for the addition Stef!